I debated a long while before asking our E-i-C Nick to write this. 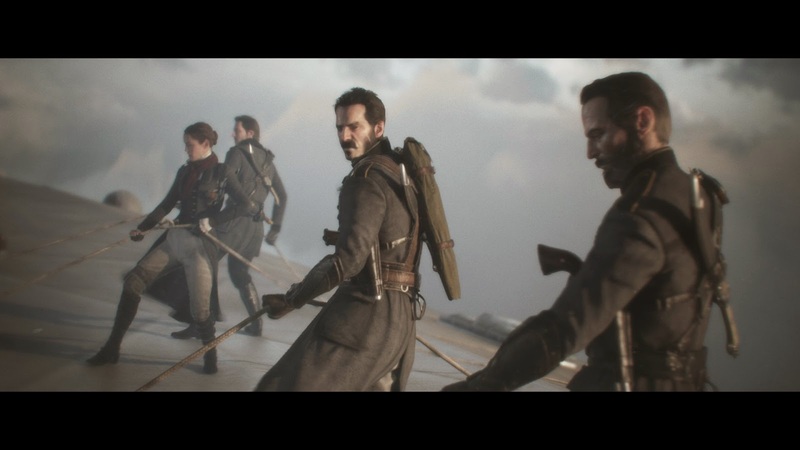 From the YouTube leak of the speed run prior to release over to the first reviews throwing high and low scores alike, I wondered about a lot of the things being said about The Order: 1886. I finally picked it up to see for myself if it really was that good (or bad depending on who you asked). I sat down for one good Sunday and went through the Order from start to finish. The result? I am more than satisfied with the seven hours that I set aside as I went from the opening cinematics to the ending credits. Who has seven hours to just sit on a normal day anyway? Leave work, get stuck in traffic, get home, you make dinner, you feed the cats, walk the dog, take care of chores, do something called socializing at some point so that people don’t think you’re a hermit, and then what? It’s 9pm and the choice arises. Do I stay up and play? Or do I go to bed to not be tired for work tomorrow? Thankfully my Player 2 understands that I play games and that socializing largely consists of emails and texts while I’m playing something that captures my attention. But six to seven hours is too short for a shooter? The Order feels like it comes down to the perfect length as it not once felt like it overstayed its welcome. 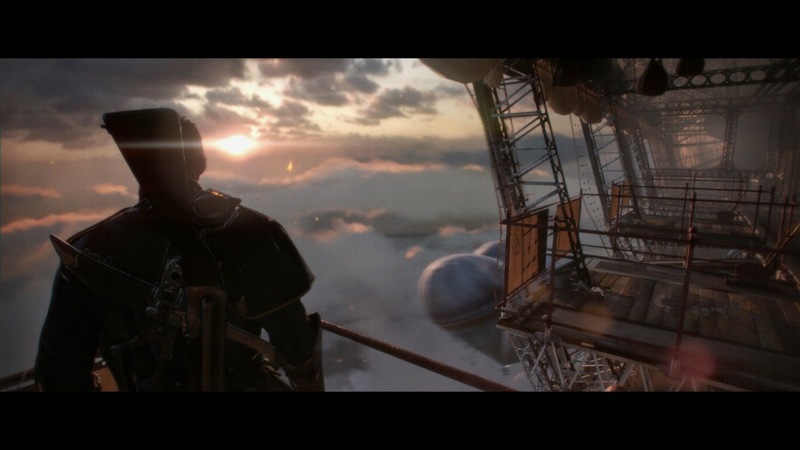 The Order 1886 is a Steampunkish take on history where Knights of the Round table fight against half-breeds (aka lycanthropes) from to keep them from ruling the world. This would have been my only issue with The Order, as it was never really explained in the game but more as an outside source of information. I did have to eventually pause mid-way through because there was a plot line here I was not fully understanding initially. 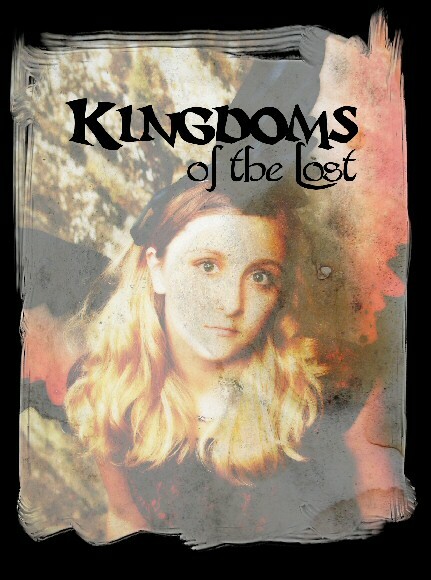 As it turns out, even King Arthur was not fully able to turn the tides against the advancing half-breeds despite using a mythical substance called the Blackwater which grants longer life, regeneration, and more power than a normal human would have. The mentioned Blackwater was the perfect way to explain why players have regenerating health instead of it just being seen as a “well we didn’t want health bars” mechanic. But this substance alone could not save humanity. Enter the Industrial Revolution and a man named Nicholas Tesla. Now humans have the means and the weapons to turn the tides against those who would wipe us clear off the face of the Earth. While I can understand the complaints that some will have with being railroaded along, a Dungeons and Dragons term that means regardless of what you want to do you WILL do what the Dungeon Master wants, The Order does do this in order to tell its story. Here the narrative is key and this intentional level design helps to bring that story to the forefront in the most effective way possible. 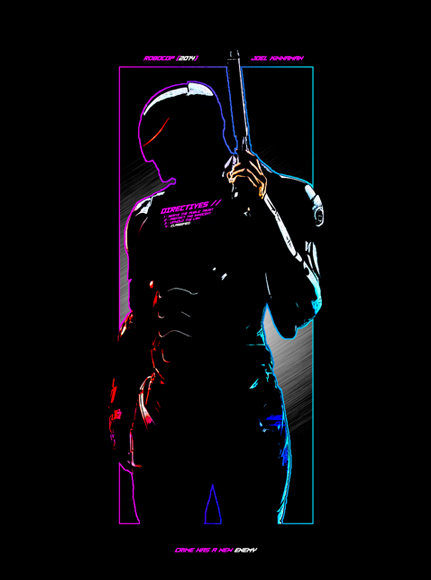 Being a single player shooter with no multiplayer aspects, players will go through the story as sir Galahad and see the current world through his point of view and participate in his decisions. While some may find having to move through the world at someone else's pace, giving some players the impression that The Order is less a game and more akin to an interactive movie with players in control of the firefight scenes. The Last of Us had similar structure, but with more ability to explore the environment. Having played it, yes you can “explore” but only as far as they deem it necessary. You want to go into that other house on the other side of that wall? Not going to happen, it wasn’t designed and we don’t want you going there as it’s not a part of the story. Being designed with a very specific story and set of events in mind, The Order focuses on elements that are important to the narrative - fluff is left at the door. Storytelling is interestingly split between dialog and cinematic scenes to the much more intense firefights. The conversations that are being had continue on regardless of what else is happening. If a character is walking away from someone else who is speaking, the volume responded accordingly. I found these to be much more appealing than the general face to face that a lot of other games will have in which the only thing that players can do is stand and stare at the person talking to them. While The Order is technically a shooter, it never quite feels like one where players just run from one objective to the next with cutscenes spread in between. Instead, keeping more with the cinematic experience (reminding me of Heavy Rain to some degree), the combat sequences feel appropriately placed and are never quite the same as the previous one. Exploring the various portions of Steampunk London, Galahad will find himself in various situations from shipyards and sewers to mansions and zeppelins in which the spaces can vary from open expanses with plenty of cover to narrow corridors where caution is the better part of valor. The above being said, The Order at its core is a third person shooter that carries a very well-designed system that was a blast to play. Having access to a variety of different armaments, there are options for players of every kind. Machine guns, single fire weapons, pistols, grenades, charging electrical weapons, and finally one of my more personal favorites: a thermite thrower with a secondary flare thrower to ignite the cloud that was just launched out. Now while some of these may be favorites while others will be viewed with a bit more disdain - but players will find by the end that they have used just about every single weapon in the game. They are often leveraged for special events, forcing you to get out of your comfort zone in the process. When the real firefights start however, your favorite is generally not very far and can be used to your heart's content. You just need to find it first. Following on the heels of a firefight are the multiple opportunities both within story sequences and what amount to “boss fights” which use Quick Time Events. QTEs have, over the years been praised and scorned by players - everyone has their own opinion. I personally thought that Castlevania Lords of Shadows and the Gods of War used them too aggressively as one wrong move and it was back to a checkpoint even if the fight was essentially over before pressing the wrong button accidentally. Going more in the direction of Heavy Rain where a wrong action didn’t always necessarily mean a game over, QTEs are used anywhere from pushing someone out of the way over to more interesting and interactive boss fights. These fights do away with guns, ducking and covering, and instead have Galahad and the enemy circle each other to see who does the first move. The QTE portions of these have Galahad dodge out of the way instead of being mauled while also leaving him the opportunities to strike out to damage the enemy. The mix of offense and defense was well done as it has players watching the enemy to see what kind of move they are going to attempt while thinking if a quick strike or a heavier counter is in order. While I can understand the point of view that the price tag for six or seven hours of entertainment might be somewhat high - I cannot find myself agreeing with it. 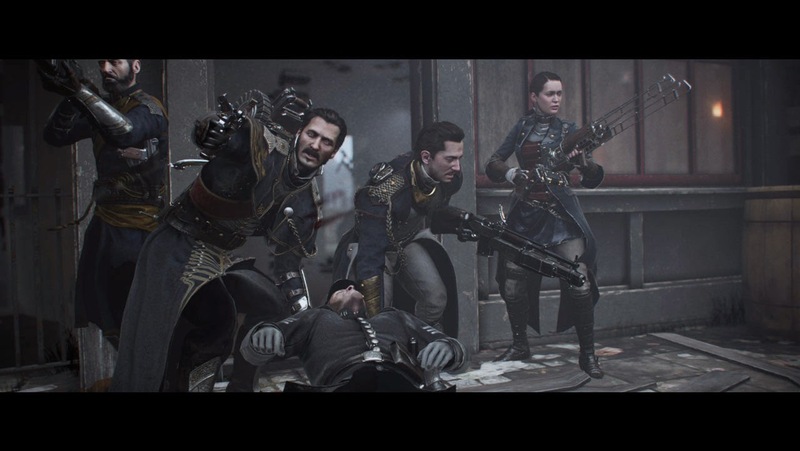 The Order: 1886 justified itself with what I found to be incredible story telling set in an immersive Steampunk setting (which personally is one of my favorite alternate reality types). Hopefully Ready at Dawn does eventually produce a sequel as they have mentioned that they would like to do so. 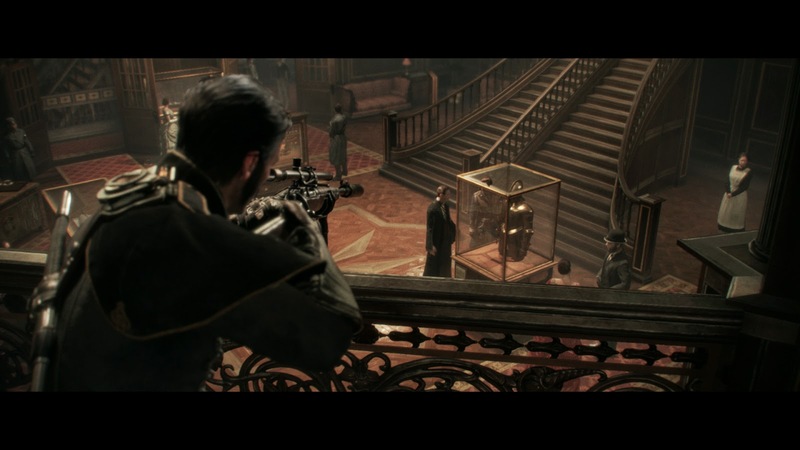 Overall The Order: 1886 makes a strong statement for quality over quantity.